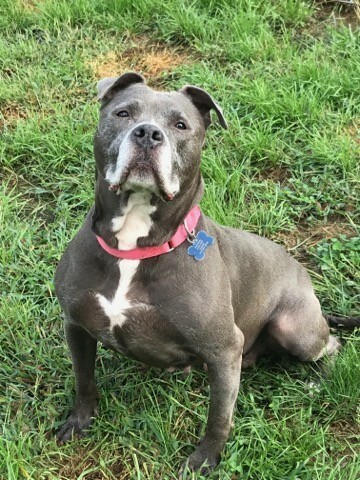 She’s a gorgeous 4 year old dark blue pit bull mix that is so sweet and lovable. She absolutely loves to cuddle and hang out with you. She’s not good with other animals so she needs to be your only animal! She’s not very fond of small dogs or cats at all. If you’re interested in adopting her, please email enb313@gmail.com for an adoption application!